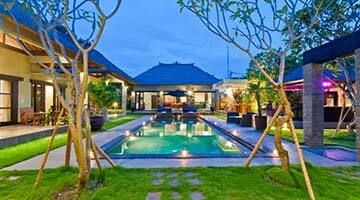 If you’re looking for Seminyak Villas, look no further than Bali Villa Escapes. 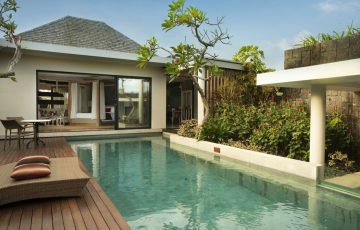 We offer 1, 2, 3, 4, 5 and 6 bedroom Seminyak Villas. 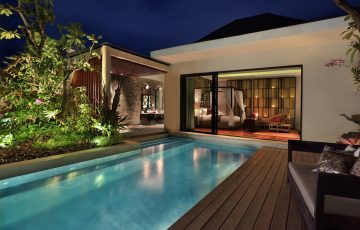 There are over 625 Seminyak Villas and Seminyak Private Villas to choose from, all with with their own private pool! 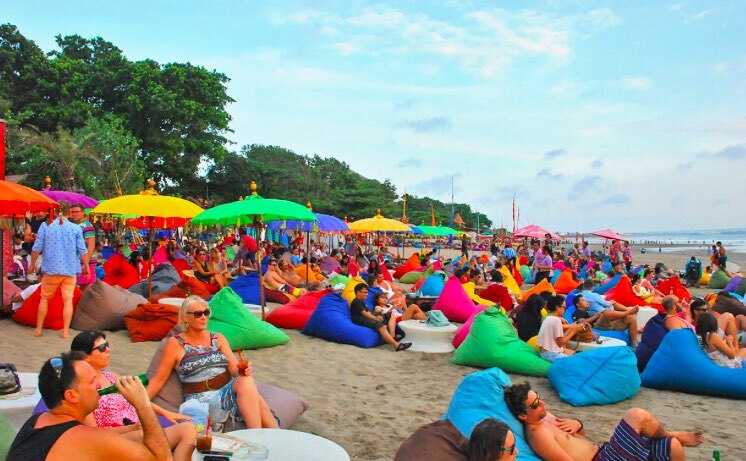 Seminyak is one of the best known tourist areas in Bali. It is famous for its world-class restaurants, cafes, bars, boutique shops and day-spas. Central Seminyak is about 30 minutes by taxi from Denpasar airport. 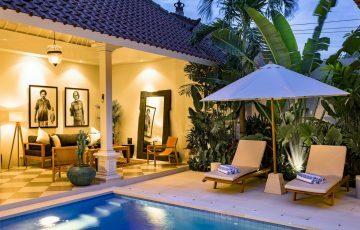 People from all over the world (especially Australia) come to enjoy the atmosphere as they live in luxury at one of the many fabulous Seminyak Villas. 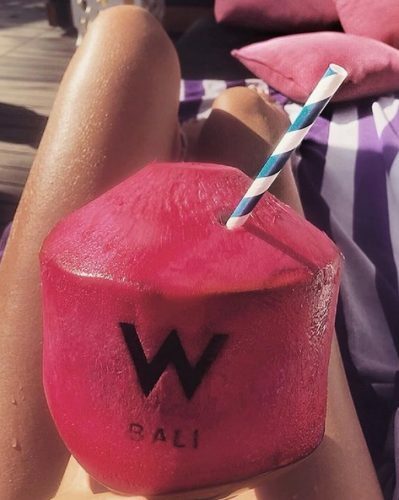 Seminyak day clubs – such as Ku De Ta, Mrs Sippy, Finns, La Laguna and Potato – have gained international recognition and a must-see for party-animals or anyone who enjoys a well-made cocktail. For those who prefer a the quitter side of things, the cafes around Seminyak Village are the perfect place to unwind and chat with locals. If your idea of holiday heaven is to shop, eat, drink and pamper yourself like royalty then Seminyak is for you. 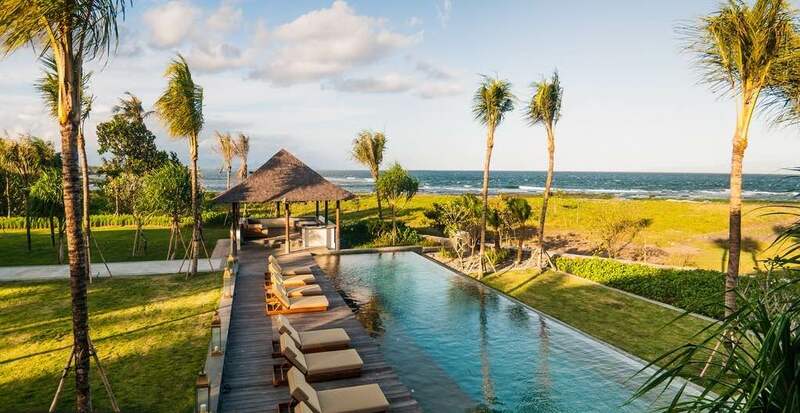 Simply browse through our extensive range of the best villas in Bali and fill out the inquiry form. Simple as that! We will get back to you ASAP with the villa availability. 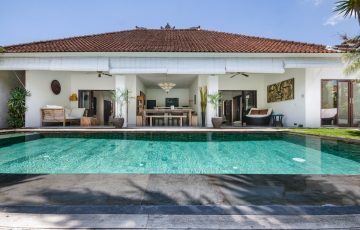 You may also like to browse other Bali Villas such as Canggu Villas or villas in Legian to see the range and options available to you. Guaranteed Quality & Unparalleled Customer Service – all the villas on our website are here for a particular reason; they have passed our strict level of quality controls. Our management have gone through each villa and inspected them personally to make sure they are up to scratch and to the standards you have come to expect. 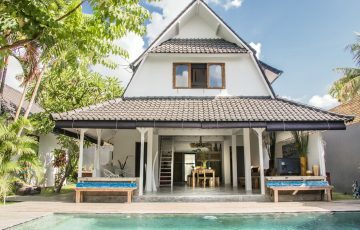 Most holiday makers who stay in our villas have travelled the world extensively and are therefore accustomed to living in only the very best villas. We definitely won’t let you down when you book through us. Our reservation team are customer focused: we return emails promptly and do everything in our power to deal with your queries and concerns. With offices in Sydney & Bali we are available all the time. 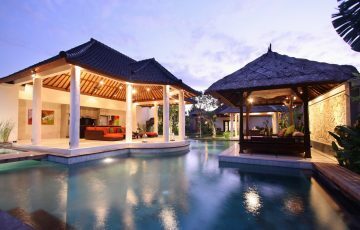 Best Price Guaranteed for our Seminyak customers – we offer the very best price that you can get for your Seminyak holiday villa. We manage most of the luxury villas, which enables us to be very flexible with our pricing. We have Seminyak Covered – no other agency has a better local knowledge of the Seminyak area; all it’s hidden treasures, alleyways and secrets than us. Our office is in the centre of Seminyak so we know everything there is to know about the place. Where to eat, best restaurants, best bars, health food cafes, clubs, day spas, wedding venues, surf shops, latest trends, what’s fashionable and where the ‘in crowd’ go. 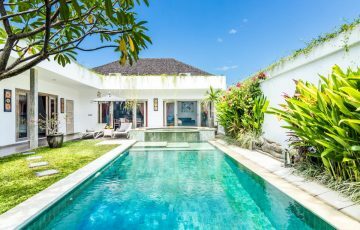 Browse our range of Seminyak villas below and make sure you get in early as some of the more popular ones get booked out very quickly. Rent Villa Kailyasa Indah in Seminyak Now - 2 Bedrooms. Family or small group holiday villa rental in Bali. Contact us now! Sleeps 4 with FREE airport pick up & close to Eat Street. Affordable holiday villa in top location. 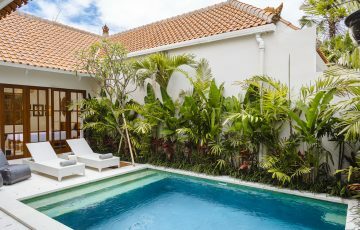 Rent Villa Seni in Seminyak Now - 2 Bedrooms. 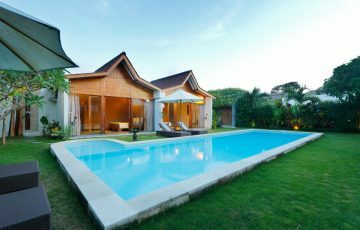 Budget Seminyak holiday villa to rent. Family or group holiday villa rental in Bali. Contact us today! Sleeps 4 with FREE airport pick up. Rent Villa Wahah in Seminyak Now - 2 Bedrooms.Family or group holiday villa rental in Bali. Contact us today! Sleeps 4 with FREE airport pick up. Affordable villa in fantastic Eat Street location. Rent Villa Esterin in Seminyak Now - 2 Bedrooms. Budget family or group holiday villa rental in Bali. Contact us today! Sleeps 4 with FREE airport pick up & breakfast included. Close to shops, restaurants, cafes & the beach. 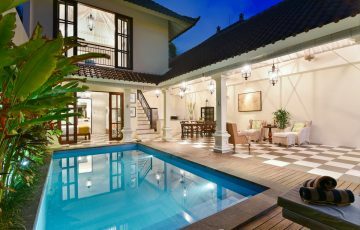 Rent Villa Basilio in Seminyak Now - 6 Bedrooms. Family or group holiday villa rental in Bali. Contact us today! Sleeps 12 with FREE airport pick up & villa staff. 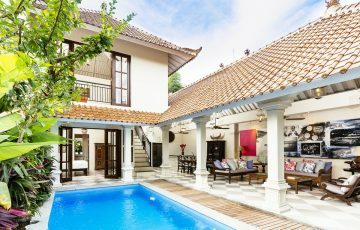 Right in the heart of Seminyak, this is a wonderful villa for your next Bali trip. Rent Villa Karol in Seminyak Now - 3 Bedrooms. Budget family or group holiday villa rental in Bali. Contact us today! Sleeps 6 with FREE airport pick up in central location. Villa Karol ticks all the right boxes. Rent Villa Puri Pani in Seminyak Now - 2 Bedrooms. Budget family or group holiday villa rental in Bali. Contact us today! Sleeps 4, FREE airport pick up in a fantastic location. 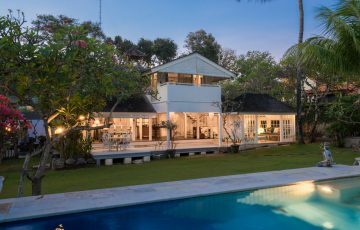 One of Seminyak's best holiday villas. Rent Villa Tsuchi in Seminyak Now - 2 Bedrooms. Family or group holiday villa rental in Bali. Contact us today! Sleeps 4 with FREE airport pick up. Fantastic location 5 min walk to Eat Street. Do not miss this holiday gem. Rent Villa Lunella in Seminyak Now - 3 Bedrooms. Family or group holiday villa rental in Bali. Contact us today! Sleeps 6, breakfast included with FREE airport pick up. Right in the heart of fashionable Seminyak. Rent Villa Anggun in Seminyak Now - 3 Bedrooms. Family or group holiday villa rental in Bali. Contact us today! Sleeps 6, breakfast included with FREE airport pick up. Fabulous location near Eat Street & the beach. Rent Villa Canthy in Seminyak - 2 Bedrooms. Family or group holiday villa rental in Bali. Contact us today! Sleeps 4, breakfast included with FREE airport pick up in central Seminyak location. This villa is great value for money. Rent Villa Tiga Mangga in Seminyak Now - 2 Bedrooms. Budget family or group holiday villa rental in Bali. Sleeps 4 with FREE airport pick up & top Seminyak location. If your on a holiday budget take a look at this villa. 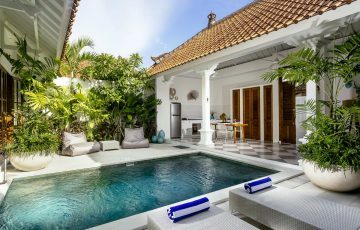 Villa CJ in Seminyak, Bali - 2 Bedrooms. Family or group holiday villa rental in Bali. Contact us today! Sleeps 4, breakfast included with FREE airport pick up. Fabulous value in a popular location - definitely must see this. 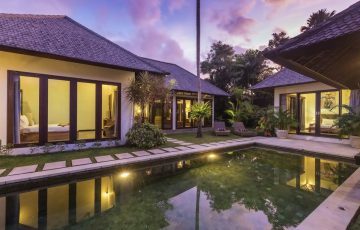 Rent Villa Plawa in Seminyak Now - 4 Bedrooms. Family or group holiday villa rental in Bali. Contact us today! Sleeps 8 with FREE airport pick up. 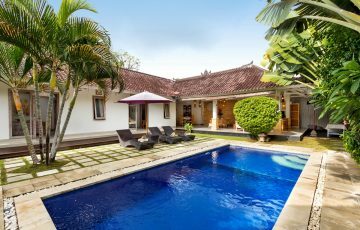 Great value in top Seminyak area. 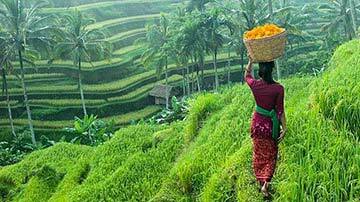 Take the kids for a brilliant Bali holiday. Rent Villa Mitsouko in Seminyak Now! 4 Bedrooms. Budget family or group holiday villa rental in Bali. Contact us today! Sleeps 8 with FREE airport pick up & villa manager. Amazing value for your next Bali holiday, take a closer look & see why. Rent Villa Ohana in Seminyak Now - 3 Bedrooms. Budget family or group holiday villa rental in Bali. Contact us today!. Sleeps 6 with FREE airport pick up. 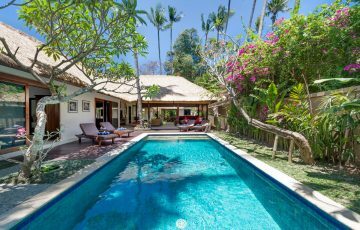 If you want real value for your Bali holiday you must see this villa. Rent MD Villa in Seminyak Now - 3 Bedrooms. Family or group holiday villa rental in Bali. Contact us today! Sleeps 6 with FREE airport pick up & breakfast included. 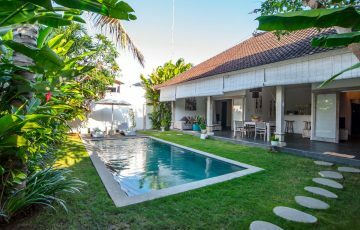 Fabulous Seminyak location near beach, shops & cafes. This is the perfect holiday villa. Make sure you take a closer look. Rent Villa Surga in Seminyak Now - 2 Bedrooms. Budget family or group holiday villa rental in Bali. Contact us today! Sleeps 4 with FREE airport pick up. Central location near cafes, shops & beach. Rent Villa Monkey in Seminyak Now - 3 Bedrooms. Family or group holiday villa rental in Bali. Contact us today! Sleeps 8 with FREE airport pick up. Amazing value & close to famous Eat Street where there are restaurants, cafes & shops. Rent Villa Wiana in Seminyak Now - 3 Bedrooms. Family or group holiday villa rental in Bali. Contact us today! Sleeps 6, FREE airport pick up with villa staff. 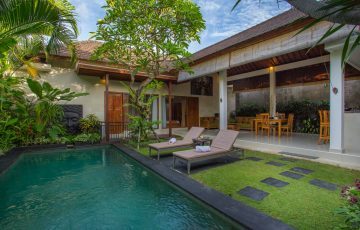 Great value for a Seminyak villa. Rent Villa Serenity in Seminyak Now - 3 Bedrooms. Family or group holiday villa rental in Bali. Contact us now! 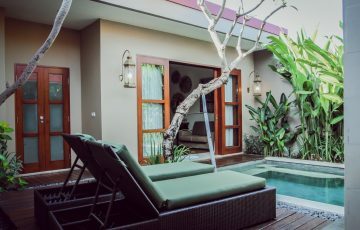 Sleeps 6 with FREE airport pick up in central Seminyak location near Eat Street. Rent Berry Amour Romantic Villas (Desire Romantic Villa) in Seminyak now - 1 Bedroom. 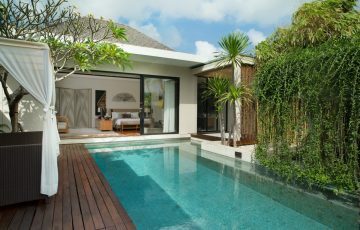 Couples or romantic honeymoon villa rental in Bali. Contact us today! Sleeps 2, breakfast included with FREE airport pick up. Rent Berry Amour Romantic Villas (Mystique Romantic Villa) in Seminyak now - 1 Bedroom. 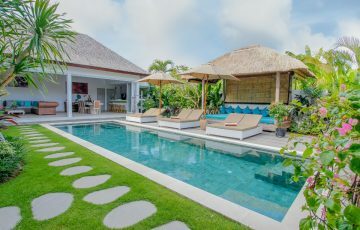 Private pool villa rental in Bali. Contact us now! Great for singles, couples & honeymoon. Sleeps 2, breakfast included with FREE airport pick up. 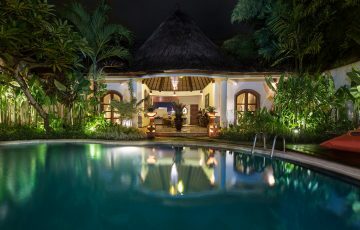 Rent Berry Amour Romantic Villas (Villa Temptation) in Seminyak Now - 1 Bedroom. Romantic, couples or honeymoon holiday villa rental in Bali. Contact us today! Sleeps 2, breakfast included with FREE airport pickup. Top Seminyak location. Rent Ziva a Residence in Seminyak Now - 3 Bedrooms. Family or group holiday villa rental in Bali. Sleeps 6, FREE airport pick up & breakfast included. 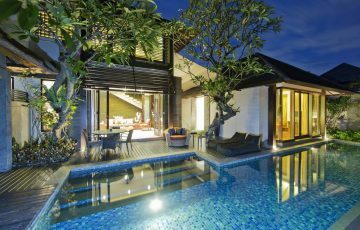 One of the best luxury villas in Seminyak. 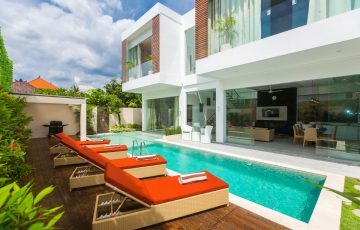 Rent Aria Villas in Seminyak Now - 1 Bedroom. Couples, honeymoon romantic holiday villa rental in Bali. Contact us today! Sleeps 2 with FREE airport pick up in central location near shops, cafes & restaurants. Rent Villa Rosita in Seminyak Today - 2 Bedrooms. Budget family or group holiday villa rental in Bali. Contact us now! Sleeps 4 with FREE airport pick up. Great location, affordable villa, do not miss this. Rent Villa Sandi Agung in Seminyak Now - 2 Bedrooms. Family or group holiday villa rental in Bali. Contact us today! Sleeps 4, breakfast included with FREE airport pick up. 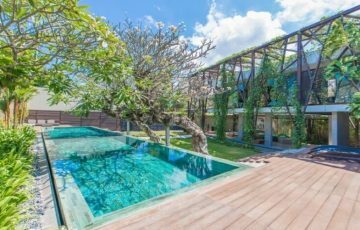 Great value in popular Seminyak location. If you love shopping, the beach & restaurants, this is the ideal villa. 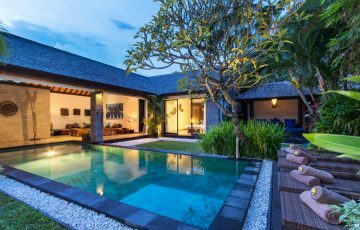 Rent The Kayana Villa in Seminyak Now - 2 Bedrooms. 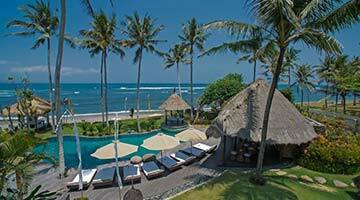 Top location for a family or small group holiday in Bali. Contact us today! Sleeps up to 6, FREE airport pick up, breakfast included with security & staff. 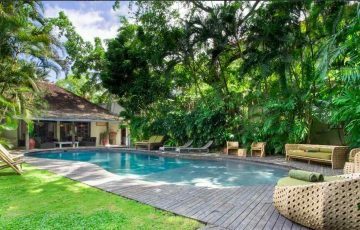 Rent Villa Paraiba in Seminyak Now - 4 Bedrooms. Family or group holiday villa rental in Bali. Contact us today! Sleeps 8 with FREE airport pick up. Brand new villa in central location. Don't miss your chance to holiday here. 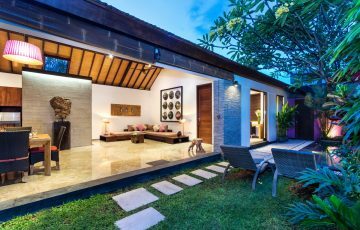 Rent Villa Sesari in Seminyak Now - 4 Bedrooms. Family or group holiday villa rental in Bali. Contact us now! Sleeps 8 with FREE airport pick up & breakfast included. Central Seminyak location near Eat Street. You will not find better value in Seminyak. Take a closer look. Rent Villa Anjali Purple in Seminyak Now - 1 Bedroom. Couples romantic holiday villa rental in Bali. Contact us today! Sleeps 2 with FREE airport pick up. 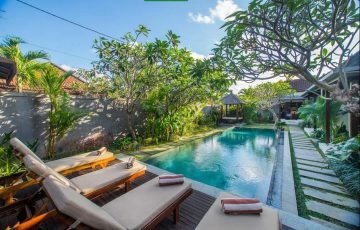 Top Seminyak location near cafes, restaurants, shops etc. Rent Villa Sophia in Seminyak Now - 3 Bedrooms. Budget family or group holiday villa rental in Bali. Contact us now! Sleeps 6 with FREE airport pick up. Great value & so close to cafes, shops, day spas & restaurants in Seminyak central. 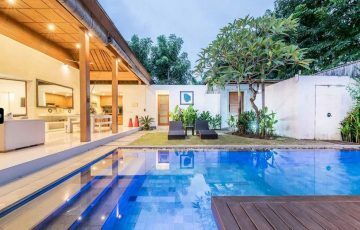 Rent Villa Anjali Blue in Seminyak Now - 4 Bedrooms. Family of group holiday villa rental in bali. Contact us now! Sleeps 8 with staff & FREE airport pick up. Rent Villa Kulo in Seminyak Now - 3 Bedrooms. Top Eat Street location, perfect for a family or group Bali holiday. Contact us now! Sleeps 6 with FREE airport pick up. Close to shops, cafes & restaurants. 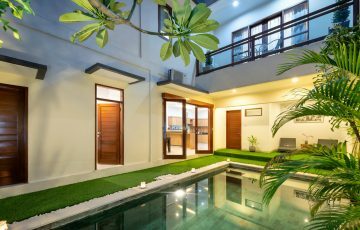 Rent Villa Watie in Seminyak Now - 3 bedrooms. Affordable family or group holiday villa rental in Bali. Sleeps 6 with FREE airport pick up. 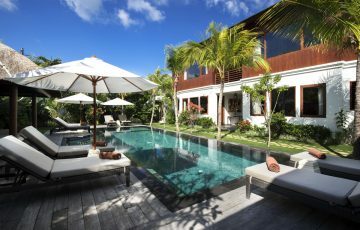 If your looking fr a budget style villa in a fantastic Seminyak location this is it. 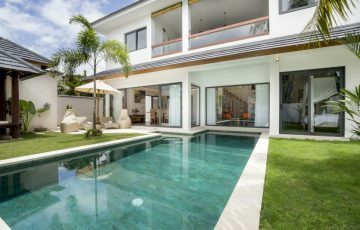 Rent Villa Tangram in Seminyak Now - 6 bedrooms. Large family or group holiday villa rental in Bali. Sleeps 12, private butler, breakfast included & FREE airport pick up. Contact us today! 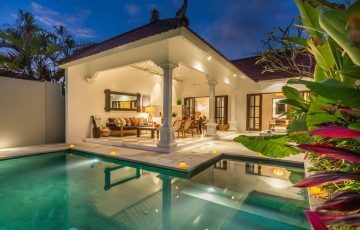 If your coming to Bali in a large group this villa is unbeatable.